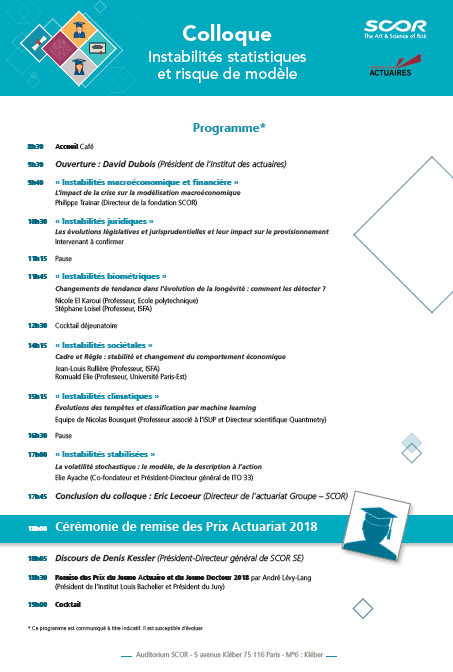 "Statistical instabilities and model risk"
Each year, on the day of the French Actuarial Awards, SCOR organizes, in partnership with "l'Institut des actuaires", a conference devoted to strategic actuarial issues. This year, the theme of the conference was “Statistical instability and model risk”. You can find the conference program and presentations below.